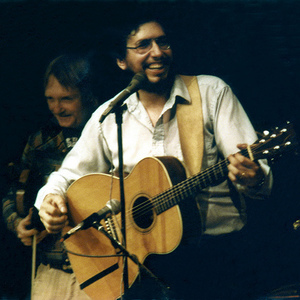 David Bromberg (b. September 19, 1938 in Philadelphia, Pennsylvania) is an American guitarist. Bromberg has an eclectic style, playing bluegrass, blues, folk, country and western, and rock & roll equally well. He is known for his quirky, humorous lyrics. He has played with Jerry Jeff Walker and Bob Dylan, and is the co-writer, with former Beatle George Harrison, of the song The Holdup. He currently lives in Wilmington, Delaware where he owns a violin sales and repair shop. He occasionally performs at Wilmington's Grand Opera House. Jerry Jeff said that Bromberg is the reason that instruments have strings. The quintessential musician's musician, Bromberg is proficient on fiddle, many styles of acoustic and electric guitar (to each of which he lends a highly individual voice), pedal steel guitar and dobro. David Lindley, Norman Blake, Mark O'Connor, and Ricky Skaggs are among the small number of other major musicians with equal proficiency on three or more string instruments.